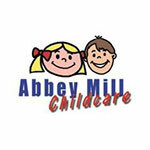 What We Do : Providing quality childcare, whilst striving to take some of the hassles and concerns out of choosing a nursery, which is very much child and family orientated. 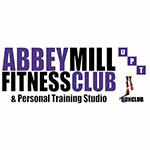 What We Do : At Abbey Mill Fitness Club, Stephen and his team of Personal Trainers and fitness professionals have client care as their first priority. It's not just about getting a gym membership, it's about being helped in a friendly and caring way to reach your fitness objectives. 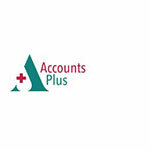 What We Do : We are a team of accountancy experts helping small to medium sized businesses. What We Do : We are a well-established, family run business specialising in carpet and hard floor cleaning for both commercial and domestic customers. We also clean fabric and leather suites, rugs and curtains. What We Do : APWireless partner with landlords who host telecoms masts, we offer a financial alternative to the current arrangement by purchasing the rent associated with the telecoms mast for a fixed lease period. 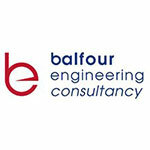 What We Do : Balfour Engineering Consultancy comprises an exceptionally broad range of skills and disciplines in building engineering and Civil Engineering and has expertise which can be called upon to additionally provide services within mechanical & electrical engineering and roads and drainage design. What We Do : BAPO is the only UK body that represents the interests of prosthetic and orthotic professionals and associate members to their employers, colleague Allied Health Professionals and all groups that are involved in the field of prosthetics and orthotics. BAPO enjoys the support of a high majority of the profession as members. What We Do : Stephanie Bell offers dermal fillers on lips, cheeks, jawline, chin, marionette and nasolabial folds in addition to fibroblast treatments. Gift cards can be purchased and she will be introducing hair appointments for extensions and hair ups.